How are you getting along so far? Today we’ll work on yet another row . . . This one’s pretty easy, too. You’ll need an assortment of your bright scraps for this one. From the bright scraps, cut 16 squares 4 7/8″ x 4 7/8″. Match them up in pairs. 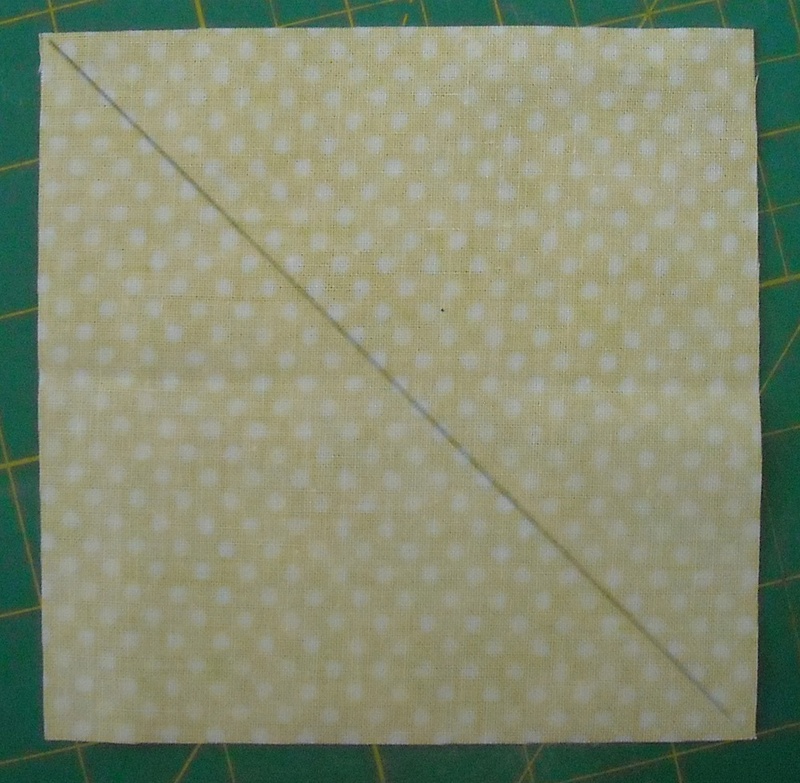 On the back side of the lighter-colored square from each pair, draw a diagonal line with a marking pencil. Match a pair of squares up, right sides together, with the drawn line on top so you can see it. Press the units open, pressing seams toward the darker fabric. Each unit should measure 4 1/2″ square. Repeat with all the pairs of squares, until you have 16 units like this. You will only need 15 of these units for your quilt, so choose one to set aside. Arrange the other 15 units in a row, and sew them together. Your row should measure 4 1/2″ x 60 1/2″. You only need to make one row like this. This row has plain strips attached to the top and bottom of it, so next, you need to cut two strips 2 1/2″ wide by 60 1/2″ long. You can piece these from shorter strips, if necessary. 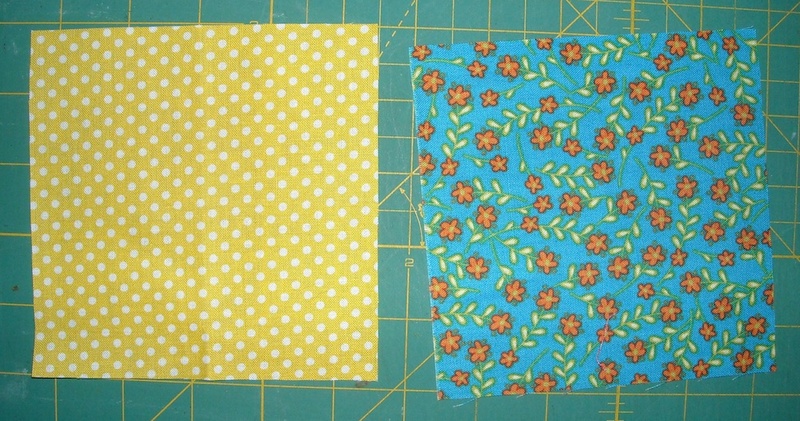 I pieced mine, just so I could use up what scraps I have. 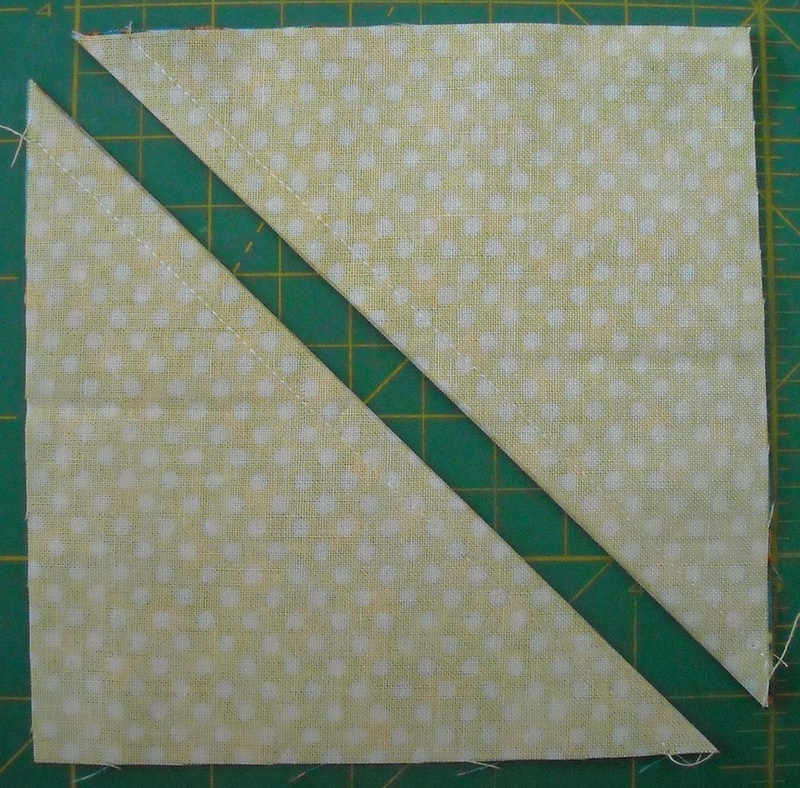 Sew one to the top of this row of triangle squares. 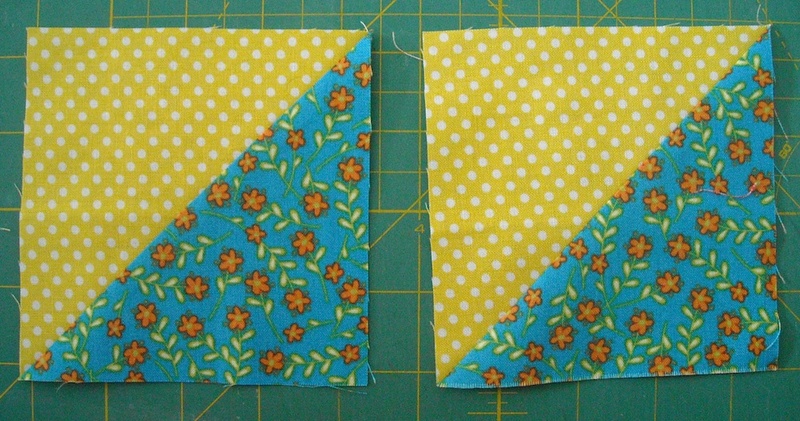 Sew the other strip to the bottom of this row. It’s difficult to take a picture of a long row! And with that, you’re done for this week! I’ll be back next Monday with yet another row — happy stitching!